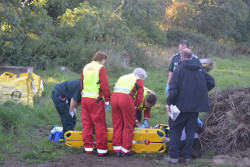 A couple of weeks ago the demise of Stop Huntingdon Animal Cruelty (SHAC) was announced on its website. The news slipped out unobtrusively, without any fanfare. Though it was picked up by social media and discussion groups, to the world at large it meant very little. The mainstream media all but ignored it until a story appeared in The Independent on 24 August and even that has now vanished from the web. For an organisation that came to embody the whole animal rights movement and for its opponents was public enemy number one, only just behind Al Qaeda in its danger to society, it seems a little odd that its passing has been so unheralded. But in truth SHAC had ceased to exist except in name only for some time. Its main organiser, Debbie Vincent, and many of those who tried to protest found themselves the target of state persecution and engulfed by labyrinthine court cases which left little time for campaigning. Then there were punitive bail and licence conditions, long sentences, and even ASBOS to silence activists once had been released from prison. It was all so different when SHAC announced itself to the world at the very end of the last century. Born on the crest of a wave following the closure of Consort and Hillgrove laboratory animal breeders, it proclaimed it would shut down HLS within three years. One of the main reasons for its popularity was its ability to build on those victories to create a seemingly unstoppable momentum. The message was that triumph was inevitable. And in January 2001 HLS did indeed come within a hairsbreadth of going bankrupt, saved only by the last minute intervention of Lord Sainsbury who brokered a deal to save the company. Even that seemingly devastating setback was brushed aside by the SHAC propaganda machine who turned it to their advantage by claiming HLS was no longer a viable business without government support. As the years rolled on the group remained steadfast in its optimism and gave the impression that victory was just around the corner – all it would take was one more heave. While there were still victories such as the withdrawal of insurance cover, the government always stepped in because it knew how vital it was for HLS to survive. Were it to collapse, not only would shock waves be felt through the whole vivisection industry but another possibly bigger target would be selected. Meanwhile the net was closing in around SHAC. Existing laws such as the Protection from Harassment Act were being increasingly used to stifle protest and in 2004, following the threat of drug companies like Glaxo to move overseas, the government set up the National Extremism Tactical Coordination Unit (NETCU) to counter “domestic extremism” and also introduced new laws targeting anti-vivisection campaigners. The reaction of the SHAC leadership to was to deny these laws would work. The group had been using spin for years, never mentioning setbacks such as arrests and convictions in case morale was damaged. Indeed right up to the mass arrests of 2007 the line was: “Animal liberation will not be won by faint hearts and what ifs…the only question is are you up for it”. In retrospect the failure of SHAC appears inevitable. How could any government have let a group of committed activists close down one company after another? At the time though – at least in the early years – things looked different. The movement came to believe its own propaganda and thought it was unstoppable. SHAC was the apotheosis of the idea of activism as an ideology. Up to the nineties most radical animal rights groups had expressed anarchist or socialist views and saw activism as a way to achieve those goals. The ALF SG , for example, often talked about how a society without capitalism and the state would enable animals to be free. But during the nineties leftwing ideologies lost their appeal and a new generation appeared for whom activism alone was the raison d’etre. It would bring about animal liberation by itself so there was no need for conventional politics. While the movement was enjoying success, activism as ideology seemed irresistible. There were a few dissenting voices – mine included -who began expressing doubts but the SHAC leadership would never countenance anything except more of the same. Indeed how could it not? The group had been set up with only one aim – to destroy HLS. In the early years that steely eyed focus was seen as its greatest asset but at the end it turned out to be its undoing. It couldn’t adapt to the changed landscape when the state itself became its deadly enemy, not the vivisectors. Finally the denial was so complete that when Operation Achilles took out the leadership in May 2007, no mention was made of it on the group’s website. What’s clear from the final statement is the acknowledgement that the world is a very different place from that of 15 years ago and that the animal rights movement has to adapt to it. SHAC will always serve as a reminder of what happened when the movement tried to go it alone and take on capitalism. It was the most determined and best organised effort we could muster. Now we have to learn the lessons of defeat and not make the same mistakes again. 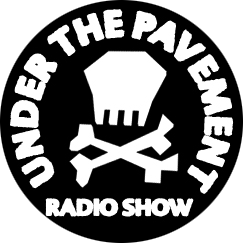 Under the Pavement – a radio show for vegan anarchists! 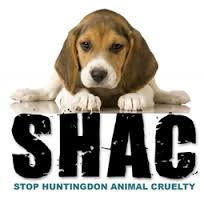 Very sad to see SHAC closed down and was glad to be supporting shac through protests etc it angers me that this Evil torture camp HLS is still operating evil scum as is anyone that abuses animals.we must continue the fight. Like you, Geoff, I had misgivings about the way SHAC did things but it’s objective was to end the torture of laboratory animals and for that it had my respect too. It is important we learn what went wrong to ensure similar mistakes don’t happen again. A Critical analysis is not a betrayal of the group, it is essential for strategic development. There are some who think the demise of SHAC means the end of radical campaigning and we should be joining political parties or baking vegan cakes instead. Hopefully that isn’t the case and we can explore some of the alternatives from time to time. I put a link to this blog entry on my Facebook page and as always happens there were far more comments there than here (35 so far). It was interesting to see the response; some were offended by what I wrote because it was critical, while others were of the view that SHAC was a waste of time. It seems this group divided opinion like no other. Sorry to hear of Shac winding up. People have been fighting vivisection for well over a hundred years, and fighting for animal liberation for the last 30 or 40years, so i don’t imagine that these struggles are just going to go away. As long as these non-human individuals continue to be tortured in labs and killed in slaughterhouses there will always be struggle against it. Sometimes that struggle will flow, and sometimes it will ebb, but it will always be there, because compassion is part of human nature. It’s not morality – it’s just that if we see suffering (or know of suffering) it makes us suffer. We don’t like to suffer, so we try and do something about it. I did too, but i’m in my mid 50’s and retired from those activities now. In my time we didn’t put all our strength and resources into fighting one particular laboratory, or even one particular area of animal exploitation. We were animal liberationists, and the State never knew (or seldom knew) where we would be next, or when, and that is the only way (or the best way) to fight an opponent that is hugely more powerful than you. But despite my differences, i have great respect for the Shac campaigners, many of whom have done, or are doing, or may possibly be going to do, terms of imprisonment for the cause, even though it is hugely unjust that they be imprisoned for mainly standard protest activities. But the pharmaceutical corporations laid down the law, hand in hand with the British State, and caring antivivisectionists are forced to go to prison and do years of incarceration. We need to care about each other, as well as the animals. A movement will not be resilient to the attacks of the State if it tries to pretend that those attacks are not even happening. We’re all unique individuals, non-human and human, and we all need to be protected and defended. These struggles will never go away. As long as there is abuse and exploitation, compassionate people will always resist. Not because of ridiculous philosophical notions of morality or rights or wrongs, but because compassion is in their nature, and compels them to resist.